What would you do if you killed a kid? Mentally, how would you cope with such a horrendous thing. Would it really matter if it was accidental or not? Would a tragic situation, such as the death of your Mother, and your grief stricken decision to drive a car make any difference? You may have been stone cold sober, but you know, that fateful decision to drive during such depression was probably the direct cause of your accident. Now, transplant the word "you" with the name Jason Buckley (Michael Linehan) and you've got the stage set for Penitent. A cheeky low budget movie that delivers much more than you'd expect from the package. Hidden within the simple whitewash of the current poster art, is a film of guilt, depression, and the attempt to move on with life after such a tragic accident. We begin this experience with Jason being released from prison. An arrest and prison time resulting from some drugs found within his car after the accident. Although the drugs were not actually his, Jason had to serve the time. Perhaps he felt he deserved to be in jail for what he'd done, and didn't put up as much as a fight as he should have. This topic is discussed and shown briefly at the start of the film, and one would figure any competent lawyer could have got him off. So you have to wonder. No matter. The "beef" of Penitent is just as the name suggests. Penance. What must one do to pay for such a deed. A job? A life? A contributing member of society? It's so hard to tell when you're living it. Before the end of the film, Jason finds his penance. Finds what he must do - and does it. The resulting finale is triumphant and sad, yet it's the trip to that destination that will keep you occupied. The downs and occasional ups that make you, the viewer, think things may work out in the end. Maybe, just maybe they do. You'll have to judge if the payment was enough yourself. It's a trip any lovers of a good drama will enjoy. It's a trip that may just leave you speechless or angry. It's a trip that will keep most of you watching your screens. 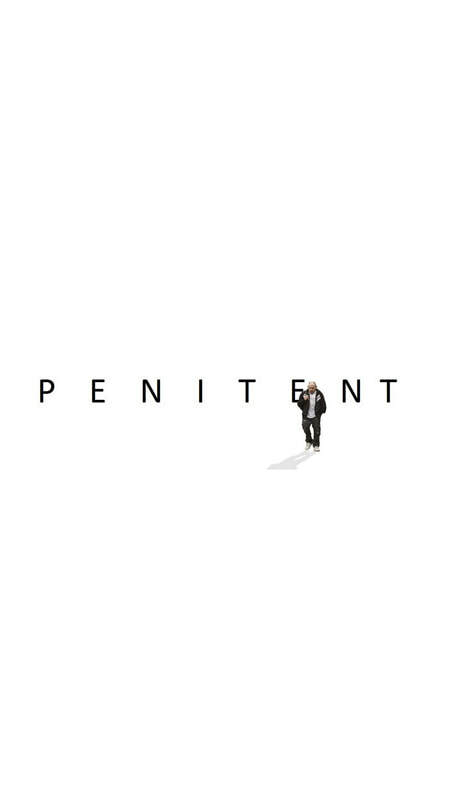 Penitent is a well acted film. I can't recall any hollow or corny deliveries off hand. These guys may not be A listers but at times, you may think they were. The production elements, as far as low budget film goes, all seem to fit nicely into place. The visuals do the trick and so does the audio. Of course, you can tell this is an independent production. Almost right off the bat. You can also tell it's a good one. Penitent may not have had the three hundred thousand dollar camera rig, but they had the hearts of lions and managed to pull off a completely watchable film. With indie productions, it's not always about the expensive setups or brand name actors. Sometimes it's about the story, how to tell the story and the ability to make "indie" work for a film. Instead of against it. The true grit and washed out feel of Penitence perfectly fits the somber concept of the movie. Perfectly. Showcasing the attempt of a man trying to start over, and climb back from within the pit, will usually make for a good drama. Throw that man into a shady area of town, complete with shady people, and you can double the dramatic factor. Penitent manages to do more than this. Not only do we feel for Jason's overall situation, but we root for him as well. The object of his potential redemption, in this case a girl, is planted early into the movie to great effect. We get to see the situation progress to it's natural conclusion. You may think you know how things are going to play out, and you're probably going to be right, but you can't help appreciate the journey as you watch it unfold. There is something different here. Something Linehan writes and acts out so expertly, and Stynes manages to capture as he directs. Something raw, convincing, and also deeply depressing. Something like this could happen to many of us. Any of us really. It only take some unfortunate events and we'll all be right there. Standing next to Jason. Penitent captures this and shines a massive light onto it. The resulting film is something I was glad to have seen. Something to watch and wait for.